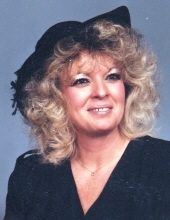 Peggy Ann Buckner, age 67, her beautiful soul left us for heaven on November 9, 2018. She was surrounded by her family. She is preceded in death by her parents, Norma and Samuel Pendleton, and nephew Jimmy Wooliver. She is survived by her daughter, Gina Bearley and Fiancé Derek Barr; son, Trevor Finger and wife Beverly; sisters, Sandy Sampson, Lyvonne Lewis and husband Wayne Lewis, and numerous beloved nieces and nephews, and special friends. She will always be remembered for her generous and caring heart, infectious smile, and fun- loving spirit. We will take comfort in knowing she is now at peace in God's hands. Everyone who knew her knew she was the most kind, loving, friendly, and compassionate person you could ever meet. She was beautiful from the inside out. She never met a stranger. Wherever she went she talked to everyone and made new friends. Her smile could light up a room. She had the most beautiful heart you could imagine, and she always put everyone else before herself even until the end. If you were lucky enough to know Peggy, then you were blessed to know that she loved the lord more than anything and knew where she was going when her time was up. We were so grateful for the wonderful years we had her and all the amazing memories we have to look back on with her. She couldn’t wait until the birth of her new granddaughter sweet little Everley. She was so excited to be a mamaw. Every picture she was given of Everley she immediately began to show her off to everyone telling them to look at her little peanut. She wanted to do so much for her and she would always ask what was needed for the baby and what could she buy her today. It breaks our hearts that she will not be here to hold that sweet little girl when she gets here but we know she is watching down on us every day. Everley will always know how much she was loved by her mamaw even though she was never able to meet her. The family would like to thank the staff at Park West Hospital for continually loving, supporting, and caring for her. The family will receive friends from 3:00 p.m. until 5:00 p.m. on Saturday, November 17, 2018 at Central Church of God, 4721 Papermill Drive NW, Knoxville, TN 37909. A Celebration of Life will follow at 5:00 p.m. with special friend Pastor Jack Dean officiating. Click Funeral Home and Cremations, 9020 Middlebrook Pike is serving the Buckner family. To send flowers or a remembrance gift to the family of Peggy Ann Buckner, please visit our Tribute Store. "Email Address" would like to share the life celebration of Peggy Ann Buckner. Click on the "link" to go to share a favorite memory or leave a condolence message for the family.